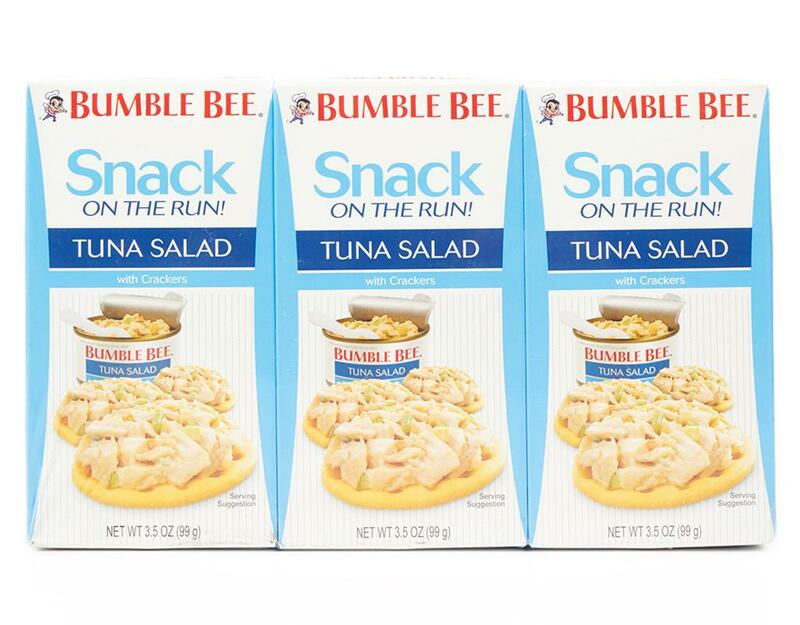 Bumble BeeSnack On The Run! 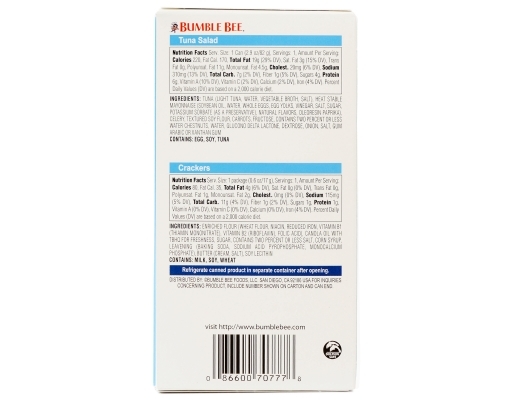 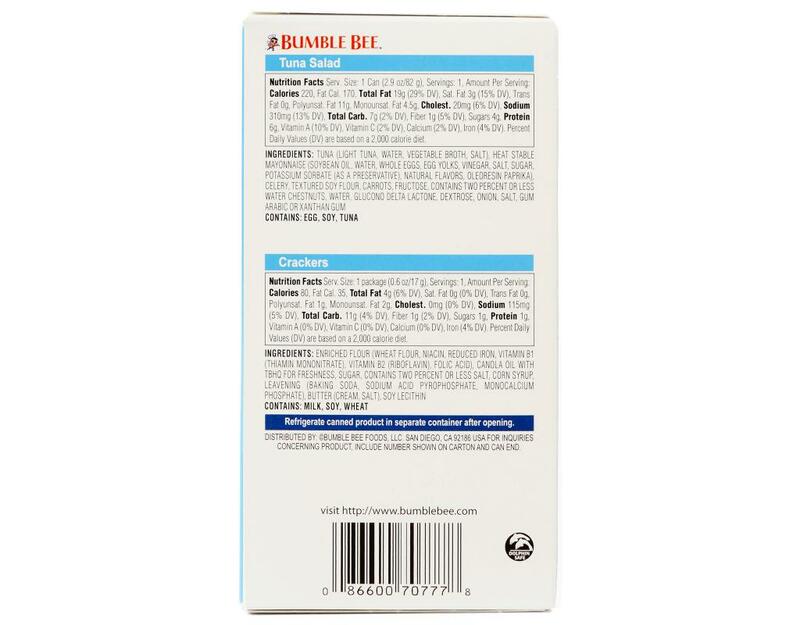 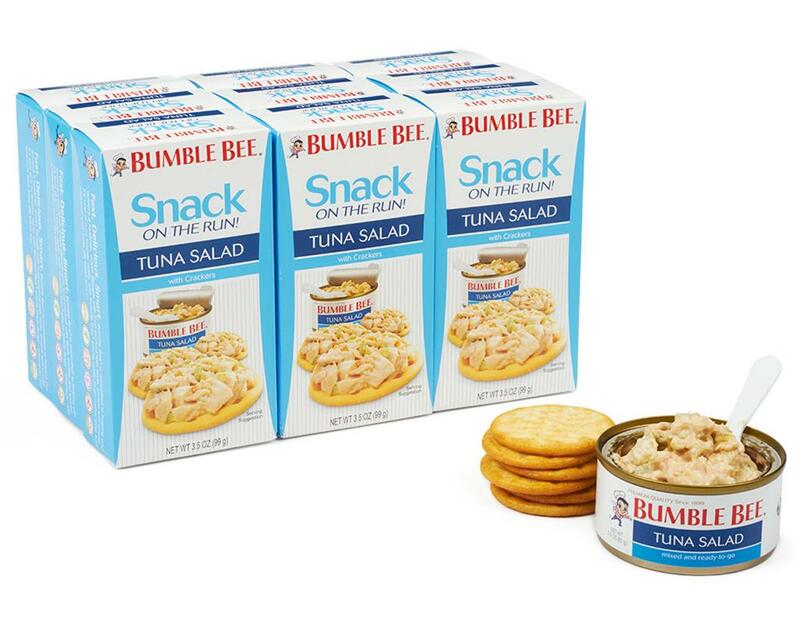 Bumble Bee Seafoods is North America’s largest branded shelf-stable seafood company, offering a full line of canned and pouched tuna, salmon, sardines, and specialty seafood products. 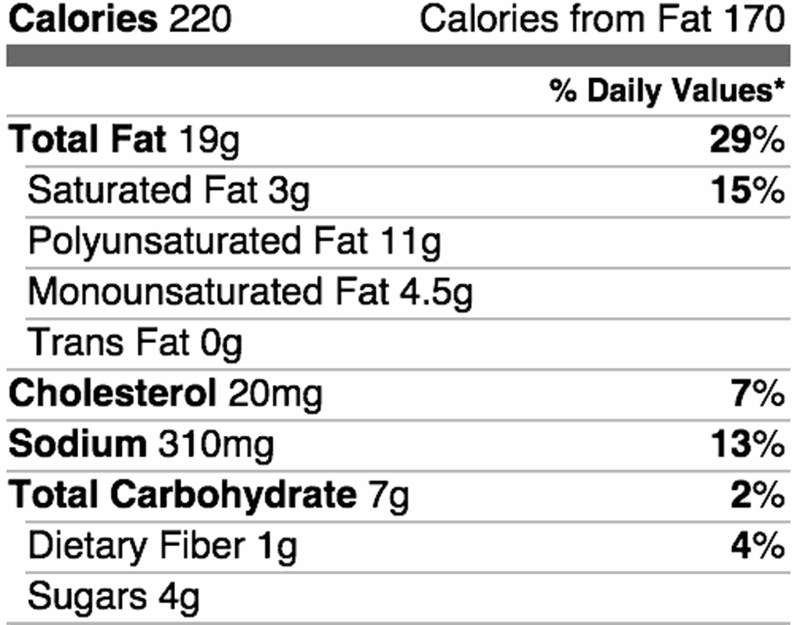 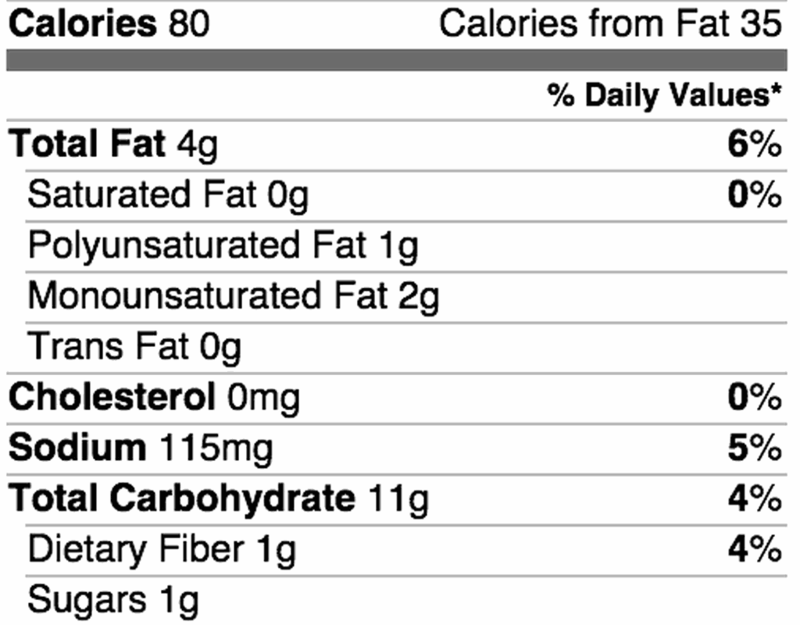 For millions of American families, Bumble Bee delivers delicious, convenient, and sustainable food that possesses key nutrients important in supporting a lifestyle of health and wellness. 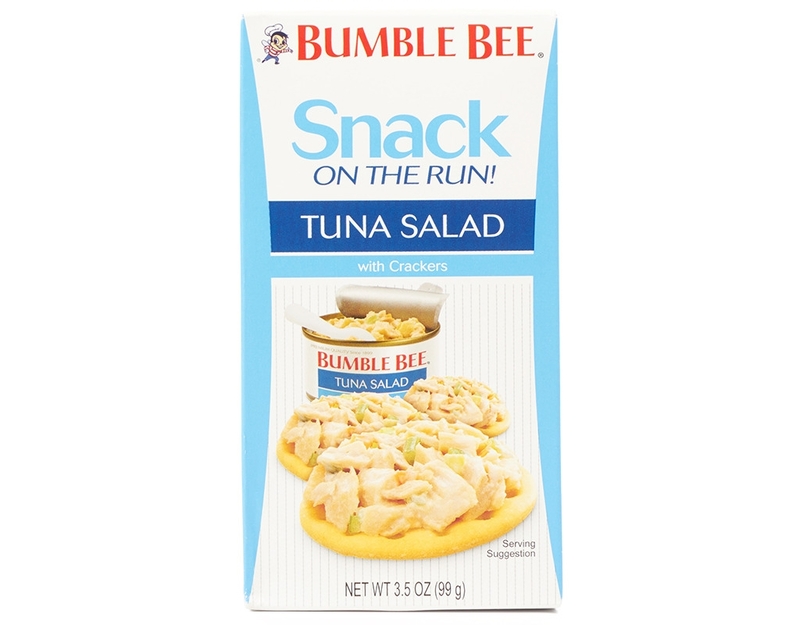 Enjoy this classic, creamy tuna salad, mixed and ready to eat. 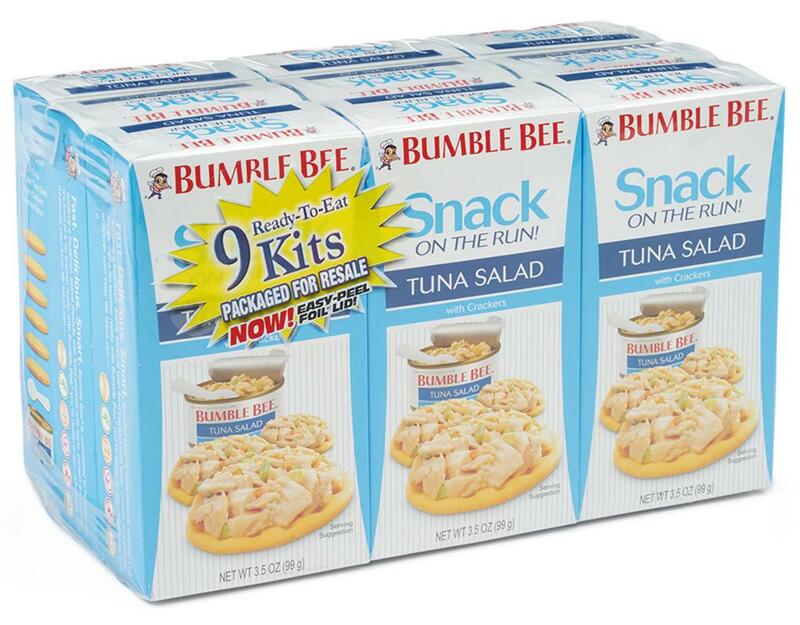 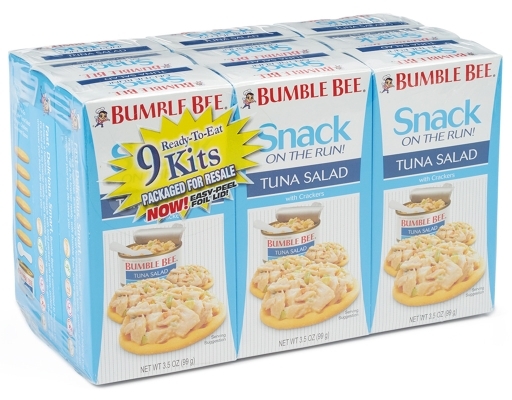 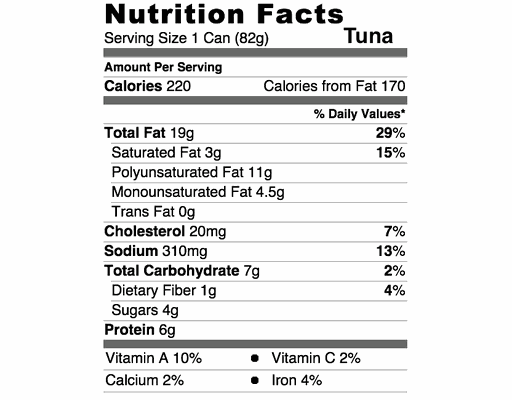 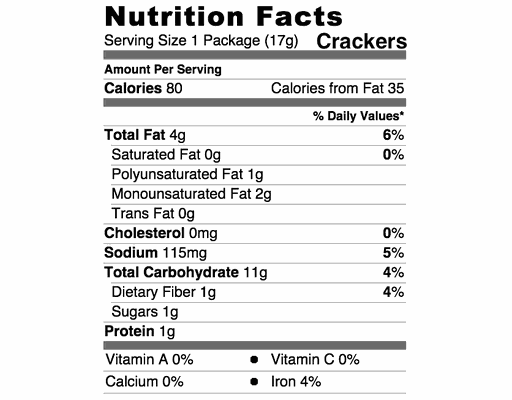 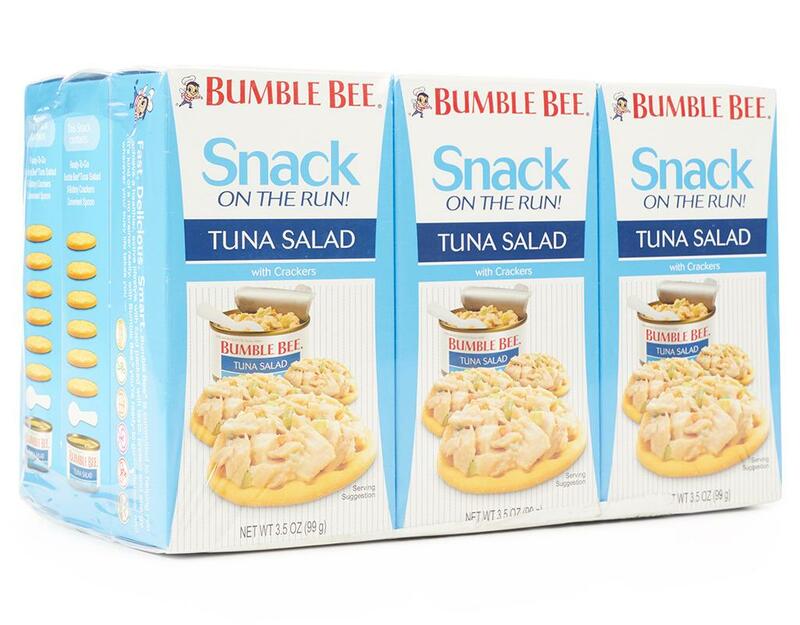 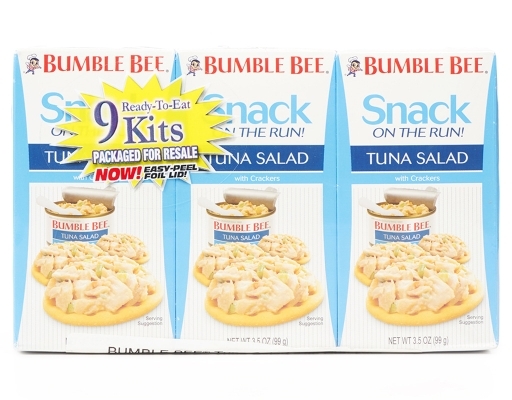 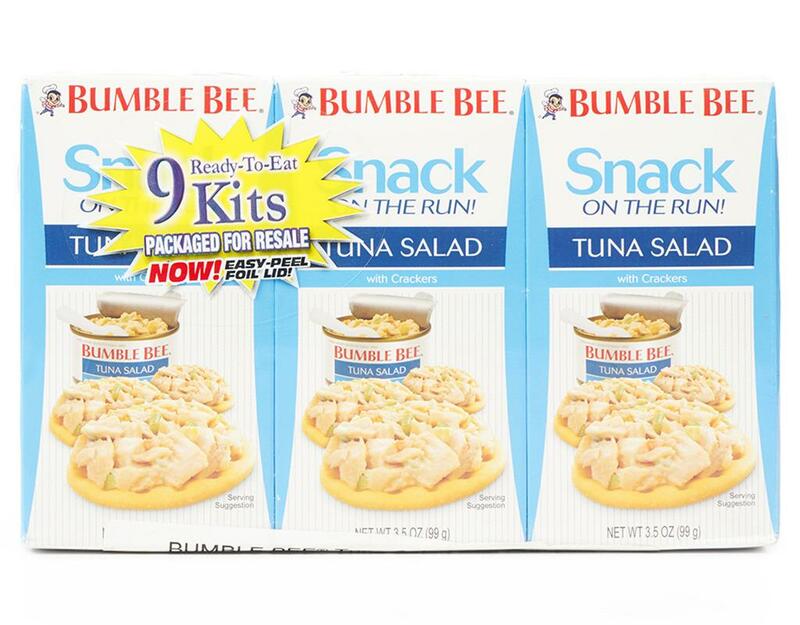 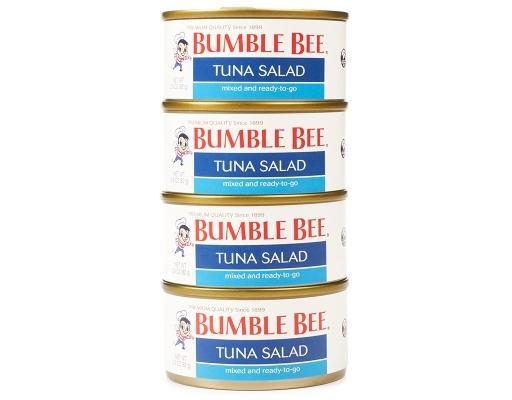 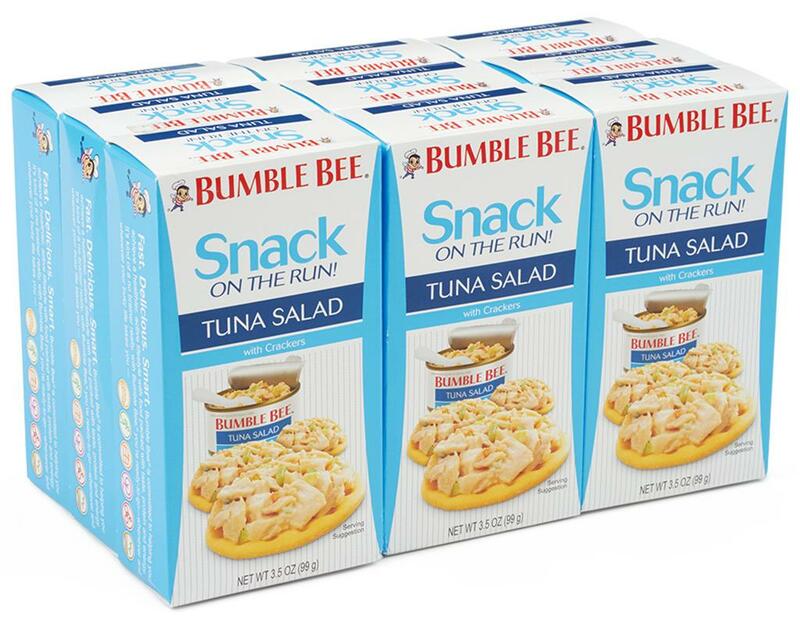 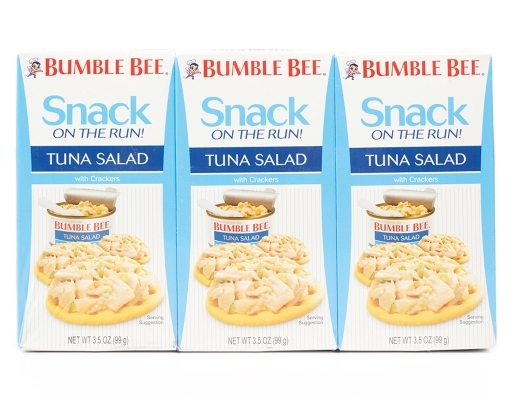 Includes ready-to-go Bumble Bee Tuna Salad, six buttery crackers and a convenient spoon.